Essential plot rundown: Filmmaker, Mark, finishes his short film in order to finance his dream project. This was an interesting documentary. I went in expecting to see the inside of making a low budget, independent film. 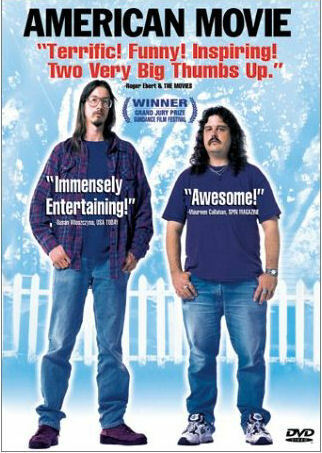 But, what I got, instead, was an insight into the drive of Mark Borchardt. American Movie is about a filmmaker making a movie. But, it seems to focus more on the filmmaker than on the actual film being made. Which is perfectly ok because Mark is an extremely intriguing person. He's ambitions, motivated, driven. He's also not the most classy guy. It's an interesting contrast to see him, loud and on top of things, juxtaposed next to his friend Mike, who is quiet and doesn't seem to really know whats going on. What one point I thought Wow, those two are really interesting. 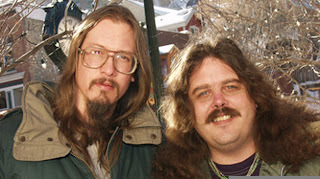 They should make a movie about them. Oh, wait...this is a movie about them. The overal theme is about working towards your dreams. There are several parts where Mark says he wants to be somebody. When I first started watching it, I was confused as to why the movie was called American Movie. But, as it went on, I realized that it's about the American dream. And Mark's dream was to make a movie. It was kind of motivating. Mark had to go through so much crap, time and money to get his film made but he never gave up. He kept at it. You could totally see his passion and commitment to what he was doing. And it made me think about myself and my own filmmaking ambitions. I have way more resources than he did (He had to buy film; I can record on my phone. He had to make a bunch of phone calls; I can just send out a mass email). But, I haven't done as much as he has. Why am I wasting my time doing stupid crap, when I could easily be outside making a short film? Really, the biggest flaw of this movie was the pacing. There were some parts that were really boring. There were a few scenes that could have easily been cut without jeopardizing the integrity of the film. It would've flowed smoother and been more interesting. Overall, it's a decent movie. 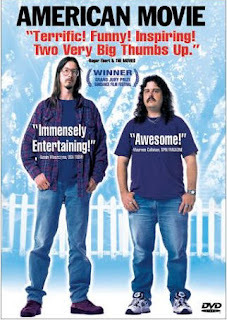 The main characters are really entertaining to watch, but the film does lag in a few spots. I'd recommend it to anyone curious about filmmaking or fascinating people.